Spiders and bees and really small toads? This photograph is of what appears to be a very small toad. 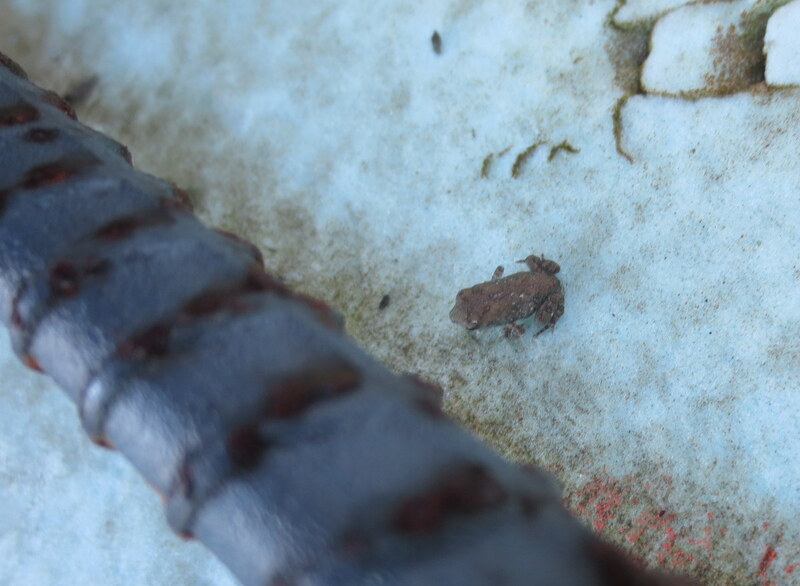 The item beside it is a 1/2″ diameter section of rebar, making this little critter about 1/16″ long. I barely saw him. 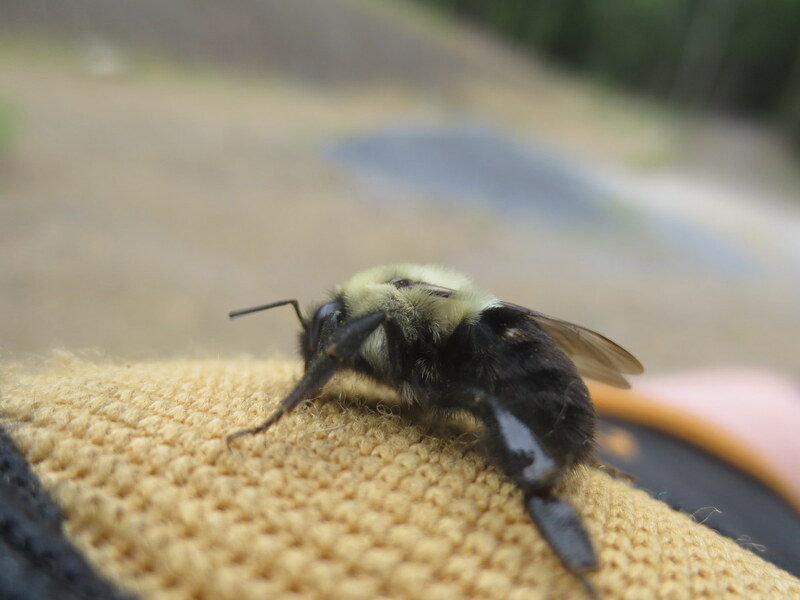 This bee appeared to be out it the cold a bit too long and was pretty sluggish. This is taken on the back of by glove. 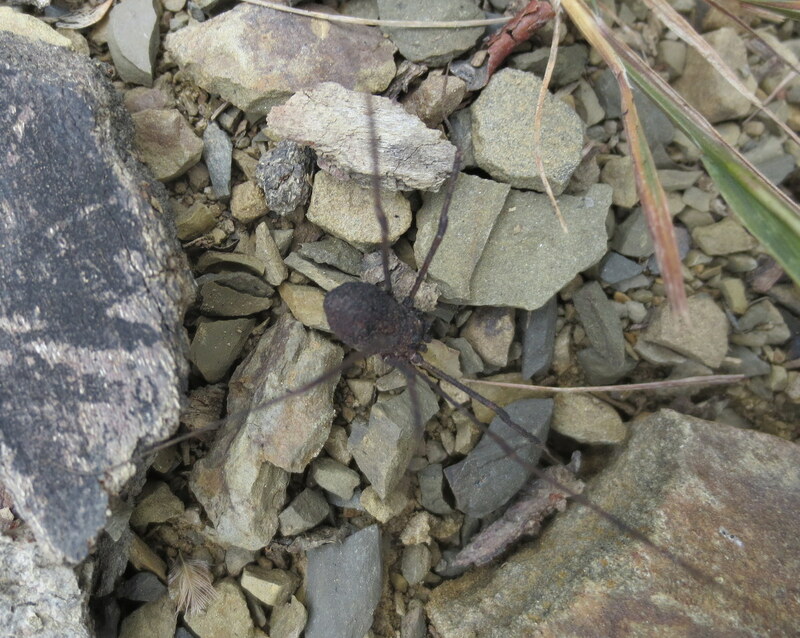 Here is a daddy long leg in the garden, running as fast as he could.